It was Good Friday, remembers Renu Takhellamban clearly, when her husband was killed in an alleged fake encounter in the Kokaithan locality on Imphal's airport road, near their home. The date was 6 April 2007. 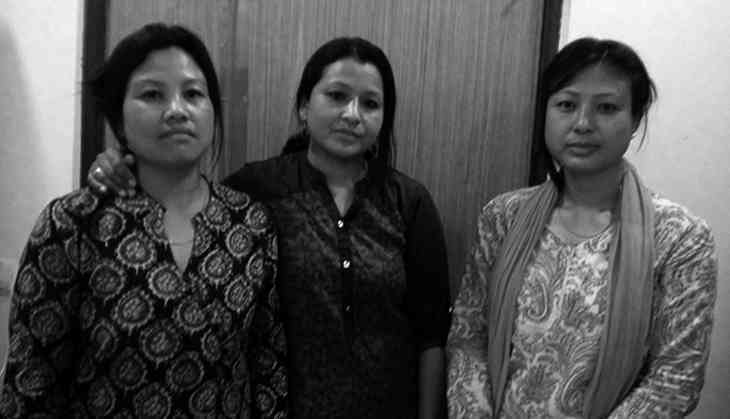 Ten years later, from 18-20 April, she attended the Supreme Court hearings in a case filed by the families of the victims of alleged fake encounters in Manipur, seeking prosecution of those who killed their loved ones. Renu, mother of an 11-year-old son, looked visibly tired, but also determined to take the struggle to a logical end. On Saturday, these people are heading back to Manipur. “This is our last hope for justice, and we are hopeful that we will be not be disappointed by the apex court,” she added. On the morning of the fateful day, Renu's husband Mung Hangzo, then 33 years old, had gone to buy a camera roll along with two of his friends, so that he could take pictures of the Good Friday festivities. But what returned home was his dead body. “On that day, when I reached hospital, I did not know that my husband was already dead. All I knew was that he was shot, but I had no clue that he was no more,” recalled Renu. Later, security forces claimed that Mung and his friends were killed on the suspicion of being insurgents. According to Renu, there was no truth to the claims made by the forces. Renu is one of hundreds of women whose husbands or other family members were killed in alleged fake encounters. According a report prepared by the Extrajudicial Execution Victims' Families Association Manipur (EEVFAM), of which Renu is current president, “during the period May 1979 to May 2012, 1,528 people were killed in Manipur in extra-judicial execution (generally referred to as 'fake encounters')”. Based on this report, towards the end of 2012, a PIL was filled in the Supreme Court of India. Then, in July last year, the apex court ruled that “if members of our armed forces are deployed and employed to kill citizens of our country on the mere allegation or suspicion, that they are the 'enemy', not only the rule of law, but our democracy would be in grave danger”. However, Babloo Loitongbam, the lawyer representing EEVFAM, sees it differently. “With the court's intervention, there is a decline in fake encounter cases,” said Babloo when Catch met him after the Supreme Court hearing. According to him, the court has not given up so far, despite all the pressure tactics adopted by the government. “This is what gives us hope for justice,” added Babloo. Two other ladies, Edina Yaikhom and Neena Ningombam, who were in Delhi for the hearing and present at the time of this conversation, agreed with him. Prior to the 2016 verdict, acting upon the plea of the victims' families, the apex court, as an interim intervention, constituted a high powered commission headed by former Supreme Court judge Santosh Hegde to look into the matter. The commission, which investigated six such cases, concluded in its report in March 2013 that these were not genuine encounters, and the victims did not have any criminal records. In addition, the report also noted that the guidelines on encounters laid down by the Supreme Court in the Naga People's Movement case judgement were not followed. According to Babloo, it isn't that fake encounters killing are history, but their frequency has certainly reduced in the wake of the interventions made by the court. “They may go up again, if the verdict is reversed, as requested by the Central government,” he feared. 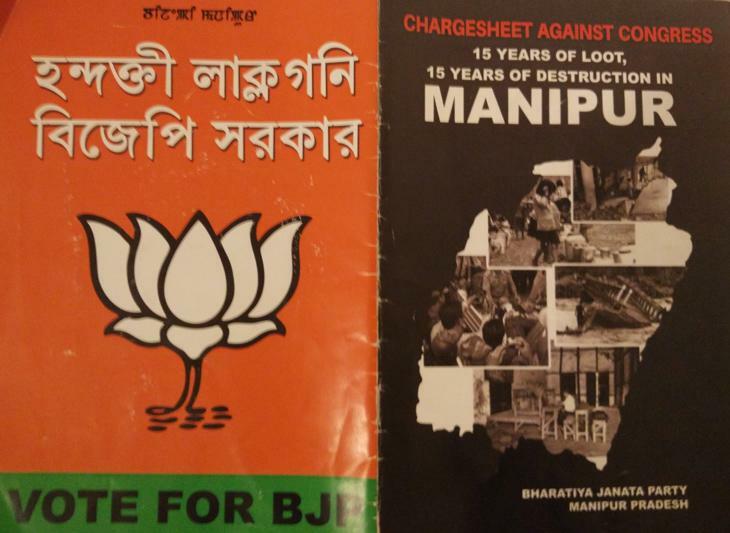 In fact, there were specific mention of fake encounters in BJP's Manipur manifesto. 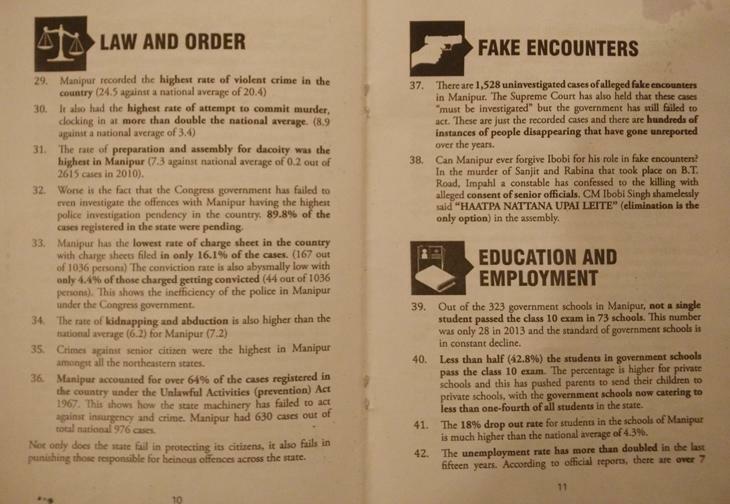 “There are 1,528 uninvestigated cases of alleged fake encounters in Manipur. The Supreme Court has also held that these cases 'must be investigated', but the government has still failed to act,” read point 37 of the manifesto. “Can Manipur ever forgive Ibobi for his role in fake encounters?” it asked, referring to the then-CM of Manipur, Okram Ibobi Singh. As the victims' family members made preparations to return home, their eyes were filled with both hope and uncertainty. Whether they will get justice or not, they'll only know in the coming months. The case is likely to come up during the court's summer vacation, between 11 May and 1 July.